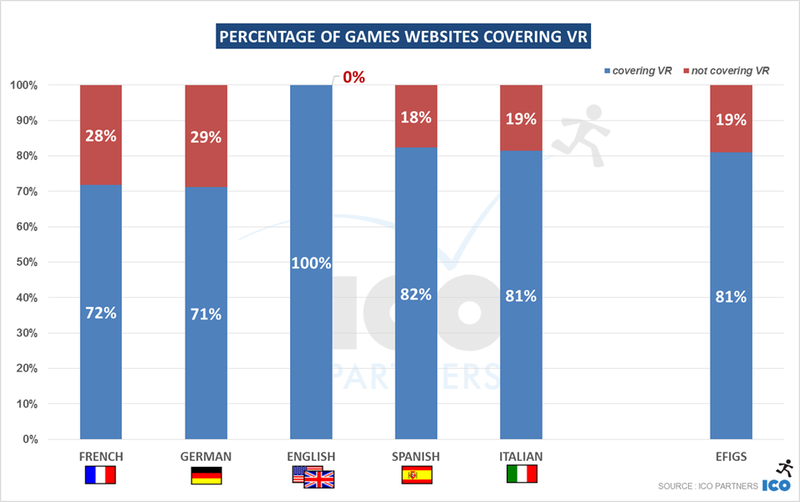 This report explores VR in online video games media in 5 languages in Europe and North America: English, French, Italian, German and Spanish over 12 months (May 2015 to April 2016). 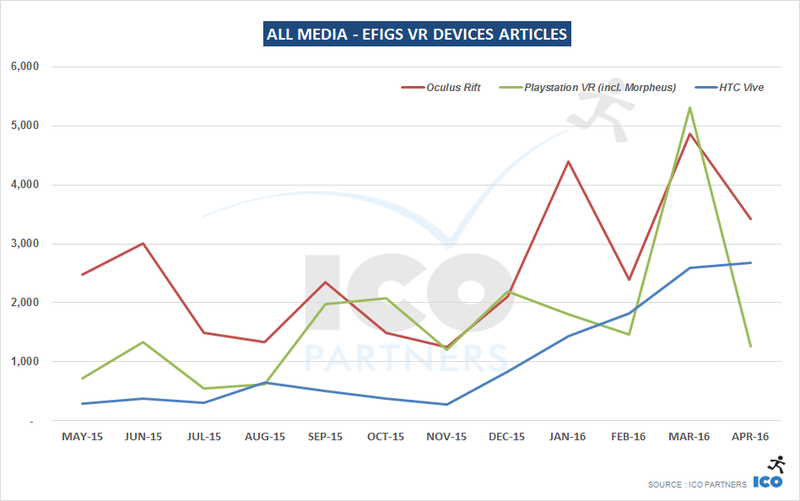 At ICO Partners, we have been very interested in following the coverage of VR topics in online video games media. 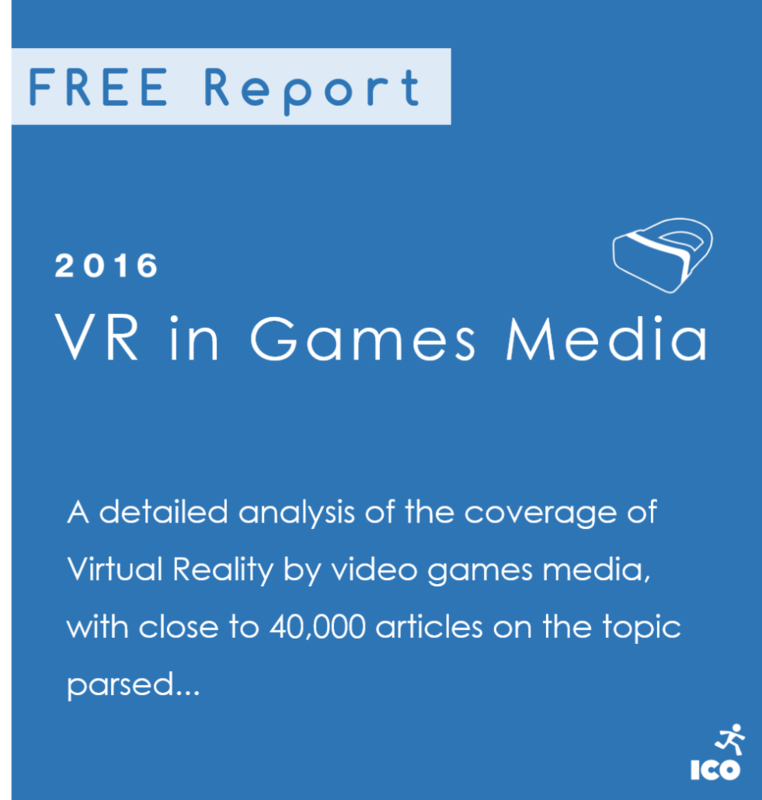 What is the amount of coverage for VR across the Games media? 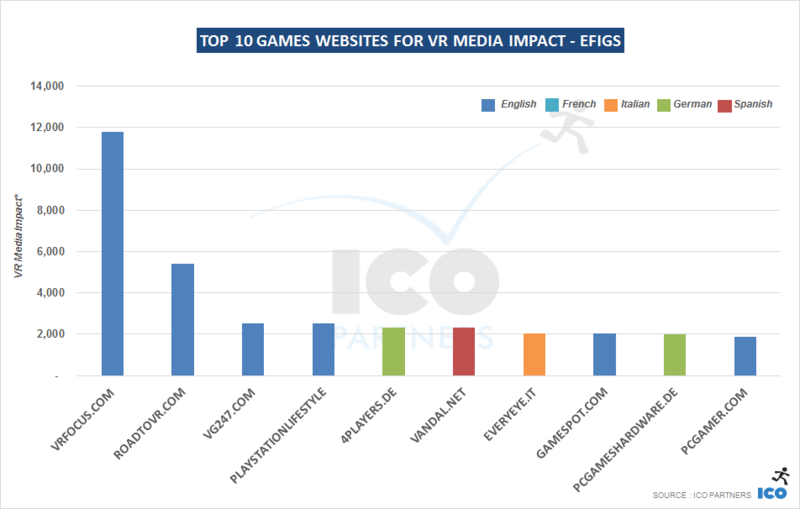 What have been the most covered VR platforms in 2015-2016? What are the most covered games? 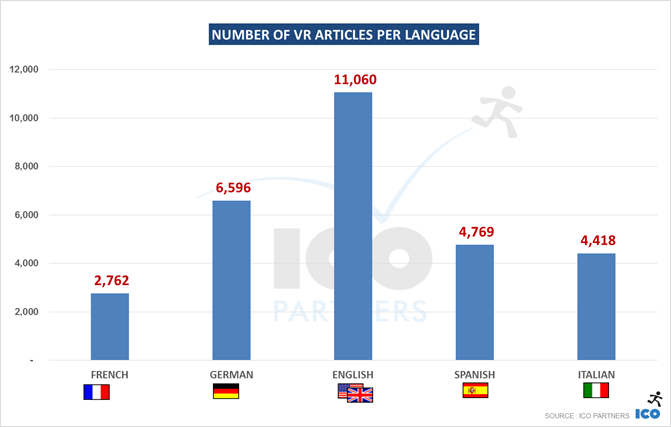 Is VR similarly covered in every language? This report is covering a full 12 months of coverage, from May 2015 to April 2016.